An extremely good quality original C-Spring Victoria. Fully restored at great expense by Fairbourne Carriages in 2005. 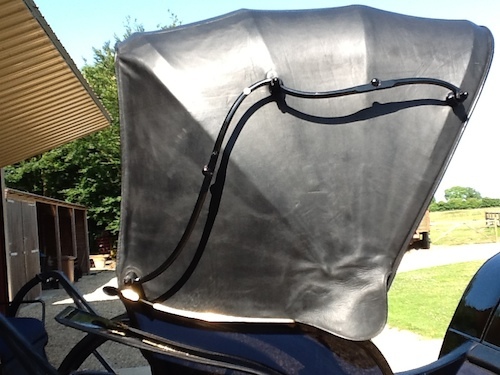 The restoration is to the highest standard with hand stitched patent leather dashboard and mud guards. 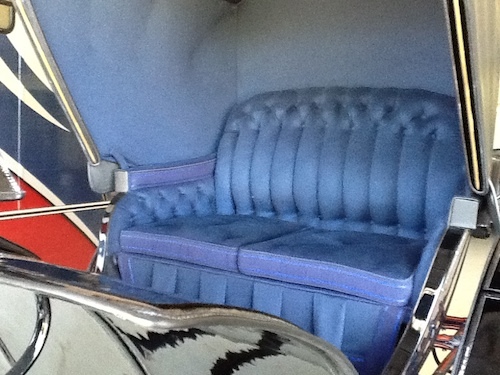 Dark blue West of England wool cloth upholstery traditionally stuffed with horse hair. Oak bark tanned leather hood. Coach painted by hand in a beautiful Dark Royal Blue on the body panels and undercarriage with black detailing. 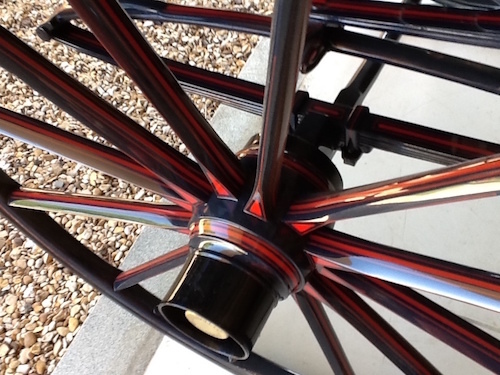 The under carriage and wheels are finished with a triple red coach line. The Victoria has been stored in very good climate controlled environment for the last twelve years. Body panels, Dark Royal Blue. 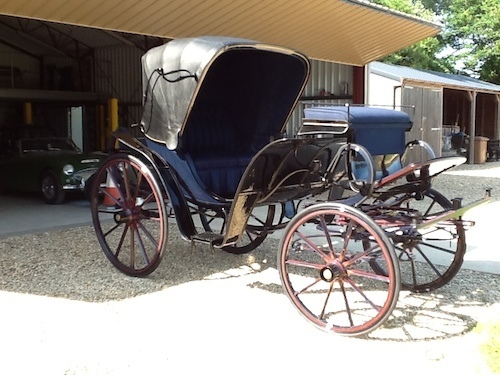 Under Carriage, Dark Royal Blue with a triple red coach line. Black detailing. Upholestery, Dark Blue.